Though not always necessary, outlines can help guide you in your writing. How? They act like a map of where you’ve been and where you need to go. An outline provides a skeleton upon which you can hang the meat of your essay. Consider it this way: without the skeleton, the paper won’t hold up but will be like a slug slithering on the ground. Which would you prefer your essay to be? A slug—or a roaring lion? We’re guessing you’d prefer your essay to be a roaring lion! That’s why we’re showing you how to create a descriptive essay outline. So what do you need to know to construct a solid descriptive essay outline? [See below for the basic outline of a 5 paragraph descriptive essay.] Not all essays need be five paragraphs—some can be longer. We’ll use the 5 paragraph outline because it gives an idea of how to lay out a successful paper. Following the outline, we’ll show you how to use the outline and apply it in your writing process. A good way to prepare an outline is to create an idea map. An idea map starts with a central idea. Say you want to describe your favorite restaurant. In the center of your idea map, draw a circle and write the main purpose of your descriptive essay—describing your experience at a restaurant. Off of this main idea should branch multiple supporting ideas—such as what you see when you enter the restaurant, what you hear, where you sit, what you order, how it tastes, etc. Purdue OWL gives some brainstorming tips on how to create an idea map like the one below. Their example has GOALS as the main idea. Branching off of the main idea are the objectives the individual would like to achieve, and branching off of those objectives are the methods for how they can be met. Once the idea map is created, you can easily proceed to constructing your own descriptive essay outline. The main idea in the center will be your thesis and will be stated in your opening paragraph. The supporting ideas will be your body paragraphs, each idea having a paragraph and each paragraph containing the supporting statements (the methods for how the individual goals will be met). Then all that is left is a concluding paragraph that summarizes the paper. Let’s look at how an idea map might be created for a descriptive essay about visiting your favorite restaurant. An idea map need not look as neat as this one: you can sketch it out quickly on a loose leaf sheet of paper. The purpose is just to see your options in print. You can sketch down as many as come to you and just select the three or four best ones that you feel will really help you deliver the greatest details of your experience. Let’s look at the idea map above. You can see that the main idea of the paper will be to describe going to a restaurant called Baba’s for lunch. The idea map shows that several points can be described in this essay: what’s on the menu, what the environment is like (music, people), and what you end up ordering. This is just an idea map—so it doesn’t have to be full of details. Those are what you will put into your paper when you write it. This is just to help you get started on structuring your outline, which we can now examine below. Let’s take a look! 1. The first body paragraph should introduce the first topic that you will describe—for example, if the subject of your essay is a restaurant, the first paragraph can be about what you see and hear when you walk in. 2. The paragraph should have a topic sentence that lets the reader know what you plan on describing in that paragraph. 3. The following sentences should all be related to the topic and should support it in some way with various descriptions. i. Remember—if a sentence does not relate in some way to the main topic of the paragraph, cut it out. ii. The paragraph should be at minimum three sentences long. 1. The second body paragraph should follow in the same manner as the first. 2. It should begin with a transition word or phrase, so that the reader can easily move from the first body paragraph to the second. You can find a good list of transition phrases here. 3. Because it is a new paragraph, it should cover a new topic—a different aspect of the subject you are describing. If we are using the example of the restaurant, you can describe the options available to you on the menu in this paragraph. 1. The third body paragraph will cover the last aspect of the subject that you want to describe. 2. Use another transition word or phrase to begin the paragraph and to introduce your topic sentence. A. Restate the main purpose of your essay. B. Reiterate the main points of the paper. C. Provide a closing statement that summarizes what you have described—in this case, your overall feelings towards the restaurant. Now that we have our outline, let’s take a look at what we’ve constructed. So far this is set up to be a five-paragraph descriptive essay with an introductory paragraph, a concluding paragraph, and three body paragraphs giving supporting details. How do we take this outline and turn it into an essay? Easy. Follow it point by point and step by step. With your introductory paragraph complete, you can move to the body. 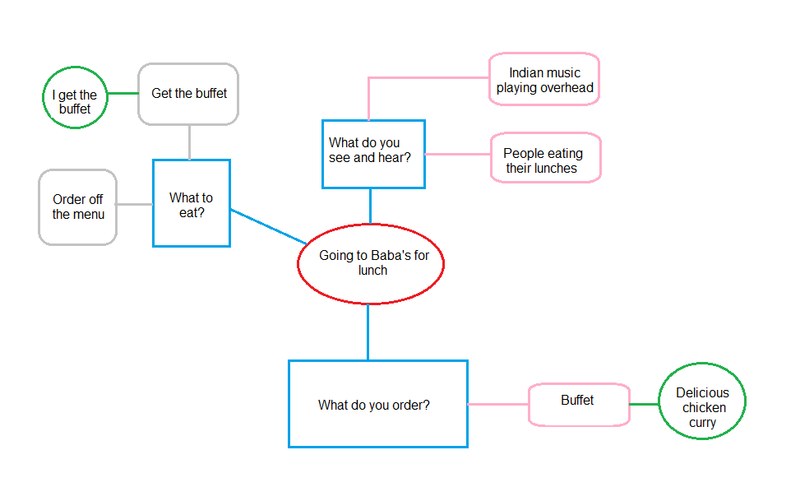 Here you just designate one paragraph to describing three aspects of going to Baba’s. In the first body paragraph, you will describe what you see and hear and smell when you enter into the restaurant. You finish this first paragraph up with a description of where you sit. Your second body paragraph will tell about the options you have to choose from for lunch. You can describe the meals and what they taste like to give your reader a deeper sense of the experience. Finish this paragraph with a statement of what you settle upon for lunch. Your third body paragraph will describe your food and how well you enjoy it. This paragraph can be used to really drive home the point that Baba’s is a savory place for dining. Use a lot of descriptive words that evoke each of the five senses. To close out your essay, write your final paragraph—a conclusion that covers the main point of your essay and offers a summary of your experience. Come up with a creative way to send off your reader so that Baba’s is all they can think about. The more effective you are in convincing your reader that Baba’s is where they should eat next, the more your essay will be successful. Once you’re finished, you can always go back and revise your essay. Give it a read-over and see what you can do to make it even more powerful and evocative. Be sure to use language that shows rather than tells—i.e., don’t just list information about the restaurant but express it in vivid terms that bring the place to life. In conclusion, a descriptive essay outline is easy to draft and helps you focus your essay. You can use it as a way to gather your thoughts and guide you through the process of writing. The best way to get started is to create a quick and easy idea map. Draw the main points that you will focus on in your essay from this map and use it to develop your outline. Then all you have to do is follow your outline step by step! Now that you have the outline figured out, make sure you check out our descriptive essay example to see the actual structure of the paper. "How to Create a Descriptive Essay Outline." Aceyourpaper.com. Student Network Resources Inc, 2 June. 2017. Web. 19 April 2019. Student Network Resources Inc. "How to Create a Descriptive Essay Outline." Aceyourpaper.com. 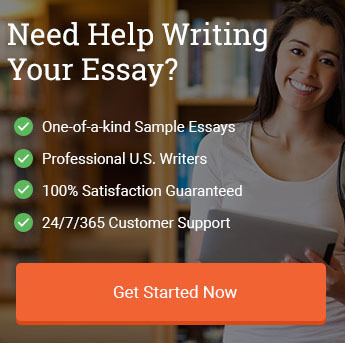 https://www.aceyourpaper.com/essay-writing/descriptive-essay-outline/ (accessed April 19, 2019).